Thank you to Tricia for the evaluation last summer, to Bill for temporarily fostering Jaxson, and to Mary for always being willing to help our dogs. March 2019 - In November 2018, a wonderful young couple approached us about surrendering their young dog Koda because they were unable to manage his health problems, which all their doctors believed to be IBD (Irritable Bowel Disease) even though all the tests came back normal. They had spent thousands of dollars on diagnostic tests and special foods but they simply couldn’t right the ship. He was a very beautiful, well-socialized, perfect-temperament boy except for a little separation anxiety and they felt he should have a chance at getting better. We took Koda into foster and with the help of a team of professionals, were able to manage his symptoms. A huge thank you to Mohawk Animal Hospital, Dr. Bianco at Metropolitan Animal Specialty Hospital, Svetlana, the IBD Facebook group, Pet Nutritionist Susan Lauten, and Drs. Gershenson and Soto at Veterinary Specialists of the Valley. Also thank you to Huxley’s parents Kristie and Nathan for watching him when his foster family was out of town. We hope that Koda’s fans understand that this was a very unique situation and can have compassion and understanding for his family’s difficult decision. What we have learned in this rescue business is that there are very few black/white scenarios and sometimes rehoming is truly the best outcome for the dog. February 2019 - Remember Brutus, the first #SorayasSenior we rescued? We placed him with a loving family (and he and the toddler were BFFs) more than a year ago but they had a hard time keeping him safely contained and they asked us to take him back. We found a foster family for him and…. we are pleased to announce that it is a LOVE MATCH. His new dads write: "When we decided to foster to Adopt, we wanted a puppy. We never thought we would adopt a senior dog named Brutus, but as soon as he walked down the street after being dropped off from his foster house, I knew we couldn't let him go and his name wasn't gonna change. Brutus has brought so much joy and laughter into our lives we couldn't imagine life without him. He has taken over our bed and we are totally ok with it. He's been with us for 4 weeks and we are so excited to give him the best years to come of his life. He is the love of our lives and we know he is so happy to finally be home. We love every part of him and we are so happy to be his doggy parents forever. Hopefully more people will consider adopting senior dogs. They deserve all the love because they give more than we could ever give them!" We rescued 1.5 year old purebred Abena from North central Los Angeles Shelter in mid-September 2018. Foster mom DJ fell in love with this little girl instantly when she was posted online. Both DJ and her mom, who lives nearby, have tons of Ridgeback experience and we knew she would be in great hands. DJ thought it was important to change Abena’s name to reflect where she has been and where she is now and chose “Khaya (kay-a)” which means “home” in Swahili. And indeed she is home. Under DJ’s expert guidance, Khaya has gained so much confidence, almost mastered crate training, and goes to work with her mom some days where she is quite the office celebrity. She is such a dainty, joyous, sweet, smart baby girl and is thriving. New mom DJ proudly writes us: “Khaya has seamlessly adjusted to her new home. She loves her morning and evening 2-mile walks as well as her regular hikes in the mountains. A huge “thank you” to Tiffany at the shelter for bringing her to our attention, the staff at North Figueroa Animal Hospital, and our friend Pilot John Baker of Pilots and Paws who flew Khaya to her new home for us. RUBY, our Apple Valley beauty, has found love in Carlsbad with mom Melissa, dad Doug, & Ibizian Hound/Ridgeback sister, Jade. Willow is a 5 year old people-loving "mini" - 35 lbs, ridgeless, RR-beagle mix with liver nose coloring. She now lives with a great mom & dad & two cats! Fastest Foster Fail ever! In about 30 seconds, Jennifer and family knew that puppy Lola (from Lancaster shelter) was home! RHODI, our purebred owner surrender, now lives a great life with Wayne & Terry in San Diego where she gets daily walks and lots of love! Benson (now Niko) is spoiled by his daddies Bill and Scott and brother Winston. Purebred ELSA was dumped at high kill Lancaster, having been hit by a car. Her foster family nursed her to health and fell in love with this beautiful sweet girl. She now rules the roost and bosses around two younger Ridgeback mix boys, who completely love her for it. Puppy Davis from Lancaster shelter is now named ROCKET and his name sure describes him to a T! Mom Nagga says he is a "bundle of puppy" and keeps his sister, dad, and grandpa busy and very entertained. Enjoy your new life, little one! Copper from Riverside shelter had developed kennel cough and was in danger of being euthanized. He was said to be ok with easy, mellow dogs and since Jenny and Jack have Juji, a very mellow senior female RR, they stepped up to foster him. However, Copper decided he wanted to be an only dog and was not a great houseguest. On the morning of the scheduled transport to another foster home, Jack and Jenny said things were getting better...and they'd like a few more days of fostering because they had fallen in love. Well, fast forward a month or so...and we are very happy to report that Copper, now WATSON, is in his Forever Home with Jack and Jenny and Juji. Big thanks to Stonecreek Animal Hospital for taking such amazing care of him and to Sherry Nativo of All About Training Dogs in OC for her expertise and assistance. Youngster Frankie was pulled from Apple Valley a few weeks ago (huge thanks to Brandie at the shelter and volunteer Faline for alerting us and evaluating him!). Frankie, affectionately known as Frankie Delano Ridgeback, is now shown the way of the "Ridgeback world" by big sisters Ruby and Willa (both rescue pups themselves), especially in the art of sunbathing and couch snuggling. He is immensely loved by Joe and Trisha in Bakersfield. Love bug Luke Jr has found his forever home as an only dog who is doted on by some very loving grandchildren! His family is doing some continuing training with trainer Alex of Behave - Dog Training & Behavior Modification! We're thrilled that Luke Jr has found a family to love him and who will continue to help him mature into the wonderful dog we've always known! Knox was pulled from Apple Valley Shelter in January 2016. The vet told us they had to use a catchpole and muzzle when they had to handle him. Not a good beginning. We drove him to our friends at THE ZEN DOG. He immediately curled up, his back to us, refusing even a hot dog. After the first week, the owner reported he has NEVER seen a dog more shut down than Knox. He wouldn’t look anyone in the eye. He didn’t want anyone to pet him. He didn’t care about food. Knox just wanted to curl up and die. Several weeks went by with little progress. We all wondered if he was too far gone for us to help, yet no one wanted to give up. We could all see it in his eyes. There was someone still there. One day, he started barking for his food. Even though that was annoying, Zen was elated! Knox had found his voice. Zen started socializing him with other dogs but he wasn’t interested in playing. They kept trying him with different dogs but wasn’t really engaging. Then, one day, they put him in with a rescue puppy and.. lo and behold! We had lift off! We knew Knox was finally ready to go into a foster home. A very special family stepped up to foster. Kristie and Nathan have a dog, Bodie, who had been a lot like Knox when they adopted him. They knew what to do to help show a painfully shy and scared dog what love was. They fed Knox the healthiest supplements and food, showed him the utmost love and security, and even consulted with an animal communicator to understand his background and needs. A gentle sweet dog began to emerge and after about 3 months, he was ready for adoption. We warned all of our applications that we didn't want to hurt anyone's feelings but we and his foster parents would be very picky about the home for this special soul. Along came Meg. One of the reasons we fell in love with her application was because, when asked how many hours on average will the dog be alone, she wrote: “I’m allowed to have my dog at the office which is the main reason I would get a dog as I don’t believe in leaving dogs alone, much like children.” Knox, now named Matisse, has found his forever home. Meg writes "Matisse has exceeded all expectations!!! He is not only a hit at home but my office has fallen completely in love with him. I want to adopt him permanently and be his safe haven." Update: Matisse has received his canine good citizen certification is is working toward becoming a certified therapy dog. We rescued Amadeus from Devore shelter in March of 2016. He was a tough case at first, a ridgeback/pitbull mix who was so insecure and fearful that, at his initial assessment by a trainer, he would not let the trainer near him. We put him into bootcamp with The Pet Whisperers, where he improved greatly. Amadeus was a little imp. He loved romping in the yard and splashing in the pool. Over Memorial Day, he gave us a "run for our money" because, unbeknownst to his foster family, he ingested so much grass and mud that it became compacted and obstructed his intestines. After emergency surgery, we sent him back with lots of chew toys and ideas for (more productive) ways to get out his energy. Amadeus is our resident Goldilocks: Many families fell in love with him, but he wasn't the right match for them. He was not a fan of cats. He was unpredictable around male strangers. He needed an experienced owner. We tried many different homes and many different trainers. We sent him off with a family from Northern California who came down to meet him...we flew him back down from Northern California....we sent him to the Zen Dog for more training. Frankly, we started to think we'd never place him. But we stand by our dogs. Finally, we found the home that was JUST RIGHT! One day, along came the cutest retired couple, Jedda and Gerry. They fell in love with Amadeus quickly and hard, like so many others had before them, but we knew we had to take it slow... after quite a few meet and greets to make sure that he was going to be a great fit with their household, we sent him off on a two week trial period. And..... we are pleased to announce..... Spencer Amadeus Lorek is finally home. There are so many people to thank, including Pet Whisperers and the Zen Dog. Much credit to his amazing foster family, the Matthews, who fostered him for the better part of a year and loved Ami dearly. A forever 'thank you' to our fabulous trainer Alexandra Gant of Behave! who took Amadeus on as her own special project and dedicated so much of her time and resources to working with him. She was so committed to setting him up for success and this match is a product of her efforts. And finally we must thank our beloved Soraya, who was so invested in Amadeus' happiness and finding the right home. Unfortunately she passed away before seeing this happy ending but we know our 7lkystars will continue to shine down on this sweet boy. Bentley’s previous owner was cited for having too many dogs so he dumped 8 month old Bentley at the Carson Shelter in 2015. There, alone without his pack or any life experience, he failed his temp test. R&F decided to pull him knowing only that he was great with other dogs. Babs fostered him and started working with him. He was a handful. He had both motion and sound sensitivities which meant that any time anything moved (like a leaf blowing on a branch) or made a noise (the sound the dryer makes when done), it would cause him anxiety. His anxiety got worse over time, not better. He ate all of Babs’ living room furniture. We knew whatever we were doing for him was not working, so we scoured the area for a board and train facility that could help him without the use of shock or choke or pronged collars. Instinctively we knew that would destroy Bentley. As luck or fate would have it, another rescuer suggested we try Matt Beisner of THE ZEN DOG. When we first spoke to Matt he opened our eyes to the difference between rewarding a dog for sit, stay, come, down, and rewarding a dog when their energy was calm. Bentley could do all the commands but he was ENERGETICALLY bouncing off walls. Matt and his team worked wonders with Bentley and over the years he was placed in several homes, all of which ended up returning him for various reasons. THE ZEN DOG always kept a spot open and welcomed him back with open arms. This has been going on for over 2 years. So Bentley was loved and safe and thrived and got to play with a ton of friends at THE ZEN DOG and even helped socialize other dogs that have come through their doors for training. But we never gave up hope (discouraged, yes) that he would find his Forever Home. We pride ourselves on standing by our dogs for their entire life. One day we received a call from Matt offering to make Bentley an official member of The Zen Dog family. We were stunned, grateful, relieved and overjoyed. While Matt loves Bentley, he also wanted to change the energy up around him, alleviate our anxiety and give Bentley a new beginning. We were overjoyed that Bentley was able to celebrate his third birthday at his new home surrounded by all of his human and canine family. We are so blessed to have found Matt and THE ZEN DOG and value them as one of our rescue partners. John, Sandy, Denver Dog and Boscoe Boy” First we must give our thanks to his loving fosters Erin, Calais (when Erin was out of town), and Lara and her family (who fostered him over the holiday season) who showed him he was safe and loved! Thank you also to Rita Earl Photography For the fabulous professional photos of him (we truly think your beautiful work make the difference for our harder-to-adopt pups). Chuy (now called Chewy) is a 6 1/2-year-old purebred owner surrender who we took into rescue in March. Her new mom, had previously applied to foster with us but was also looking to adopt if the right dog came along. Chewy caught her eye and the rest is history! Jenny reports: “Chewy is bonding with her new pack and she enjoys her walks with Molly. They are all finally playing together and Chewy took to Peanut, a four pound Chihuahua that belongs to my son. Chewy and Peanut like to take naps together and Chewy is becoming quite the mother hen. ..Chewy copies everything Molly does and it is so cute. If Molly rolls on her back in the grass then Chewy runs over and does the same thing. Thanks again for sending her my way.” Big thanks to her foster mom and dad, Mary and Nick, for taking such good care of our girl! March 2019 - Brandy, who was rescued along with Burbon on January 20 from Baldwin park shelter, has been adopted! Her new mom Linda has renamed her Candi and reports that she “LOVES her life with me. She has 3 squeaky toys that she carries everywhere. It is so funny. She did not like walking at first, but she is enjoying it now.” Candi’s mom recently lost her beloved female Ridgeback so her house and lifestyle was ready and waiting for another sweet RR girl: lots of walks, four beds around the house, lots of time and attention from mom...and her own blanket on the bed. Thank you to Stonecreek Animal Hospital for her medical care, Lily for the very thorough homecheck, and to Aspasia for lovingly fostering Brandy and getting her ready for her new wonderful life! Remember Lucy & Rosie, the sisters we rescued from Apple Valley shelter in September 2018? We asked experienced RR volunteers to help us evaluate them and, after much observation of their interactions with each other and other dogs, made the decision to separate Lucy and Rosie. Rosie was too protective of Lucy and we thought they would thrive if they were given the chance to socialize and forms bonds separately. Lucy is now known as “Tiki” and is the newest member of the “Polynesian Pack” along with big sister Hula and Mai Tai, the Corgi. A classic foster fail, mom Linnea reports that “she has blended seamlessly into the pack and picked up the routine very quickly. She wags her tail more than any ridgeback I’ve met.” She runs And plays through the backyard with Hula and plays tug with Mai Tai. Thank you to fosters Jedda and Gerry (and R&F alum Spencer Amadeus), as well as Linnea, Sara, and Helen for the evaluations and assistance. 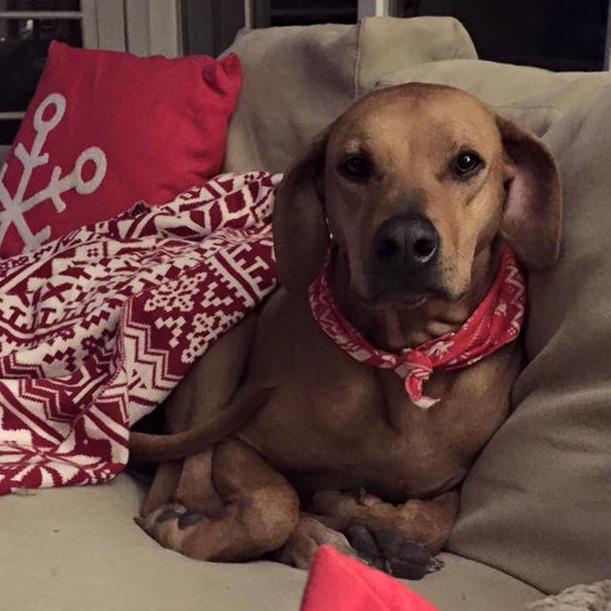 Rosie the Rhodesian Ridgeback riveted her way into Robert and Ani's hearts and has found her Forever Home! Robert and Ani had just lost their two Ridgebacks almost back to back. To lose one is difficult, but to lose both is devastating. We weren't sure if we should approach them about Rosie but realized they could always say it was too soon, so we asked. It was pretty much love at first sight. Ani had wanted a Ridgeback that cuddles and boy did she get that - in spades. They intend to get Rosie a friend after the first of the year but for now they are working on leash manners and spoiling her. Huge thanks to all who donated for her dermoid surgery with Dr. Debra Jackson, to her fosters Jedda, Aurora, JC and Emma, Marci and lastly, Craig. And to Sara and Helen for all their help and experience. Champ is feeling right at home with the Gedik family in Newport Beach... and his new buddy Ziggy! His mom reports “We like to go on long walks at Fairview Park, and down to the beach in Newport. He also enjoys doggy day care. He has adjusted so well to our family. We love him lots!! !” Thank you to Ridgeback Trust Incorporated (RTI) for coming to Champ’s rescue - he was an intact purebred who was advertised on Craigslist. 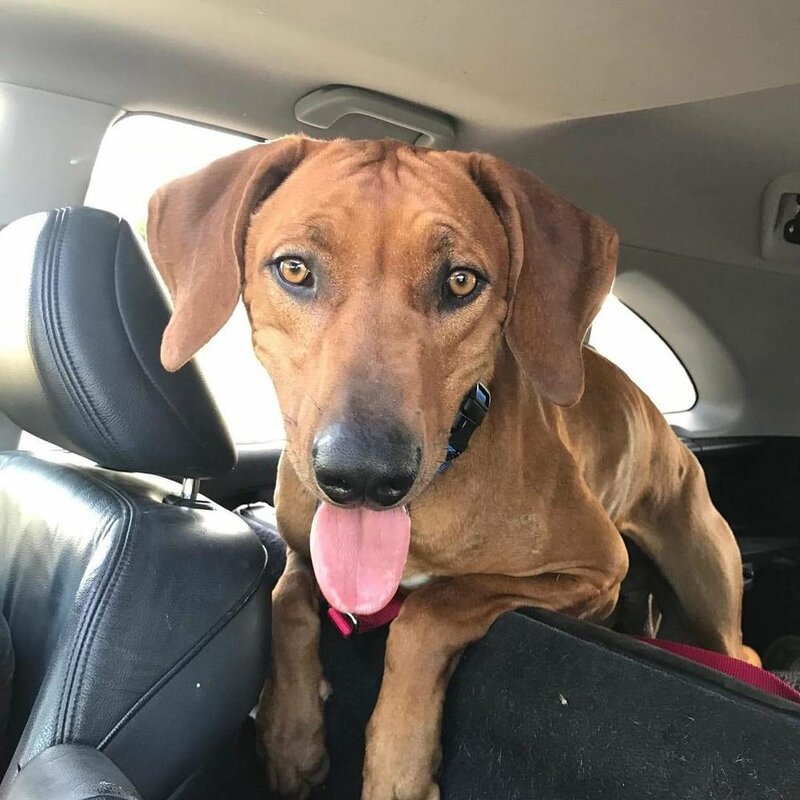 RTI‘s mission is to stop the indiscriminate breeding of Rhodesian Ridgebacks - one way they do this is by purchasing intact dogs and turning them over to a reputable rescue for neutering/vetting/fostering and eventual rehoming. Thank you to our incredibly wonderful volunteers, Jimi and Audrey for doing all the on-the-ground work to help this gorgeous, easy-going boy. Thank you to Stonecreek Animal Hospital for giving him such good vet care, and to his AMAZING foster mom Aspasia and her pack for fostering Champ and learning his preferences so we could match him with the best possible home. JEREMY(aka Stitch) was adopted by his Foster Dad! This beautiful young pup was on a stray hold at San Bernardino when his homeless owner died. Family never came. A village of people stepped up, including Samantha Haas of Wagaware dog charms and Jon Levinson who so generously donated for him, Jessica who pulled him and kept him safe, Patty Johnson Laurie, Foster mom Sam Dewey, temp pup sitter Marci Liroff ... and Foster dad Gideon Pine. Bentley is a 9 year old purebred who is now the "twinkle" in Bill's eye. He is going to have a great life, filled with lots of gooddogbeds!! Puppy OSMOND was euth listed at Devore when we found him. The first morning at his Foster home, his little BFF had a nightmare and cried out, and Osmond jumped into bed, lay down next to her, put his paw and head on top of her tummy and just laid next to her until she woke up. Osmond's mom writes: "He has won over my husband hands down who was still grieving over our dog Dublin who passed. Seeing him play and kiss Osmond and wrestle makes me so happy. He brings an energy to our house that we lost when Dublin died. He has filled a hole with his own special brand of love, fun & excitement for everything! We get stopped everywhere and strangers note how wonderful he is. And what a sweet boy he is." One week at her forever home in San Diego and Ruby SoHo is loved like she's been here forever and comfortably in her beds... "She has calmed nightmares of the little one, and stopped melt downs, frustration and tears from the older child, and entertained and kept busy our puppy, melted and won the hearts of mommy/ daddy. It was meant to be." Remember sweet shy Clifford from Apple Valley shelter, who we rescued in early November 2015? He is now PARKER and living a grand life in Northern California. Mom Lori reports "Parker loves the beach and the snow. He has lots of wonderful energy and is curious and playful. He loves meeting and playing with other dogs of all sizes. He also loves meeting people and he is quick to learn new things. He is no longer timid, and now has lots of confidence and swagger. He also has a little puppy in him still as his front paws flip forward sometimes when he runs. He's quite a character!" 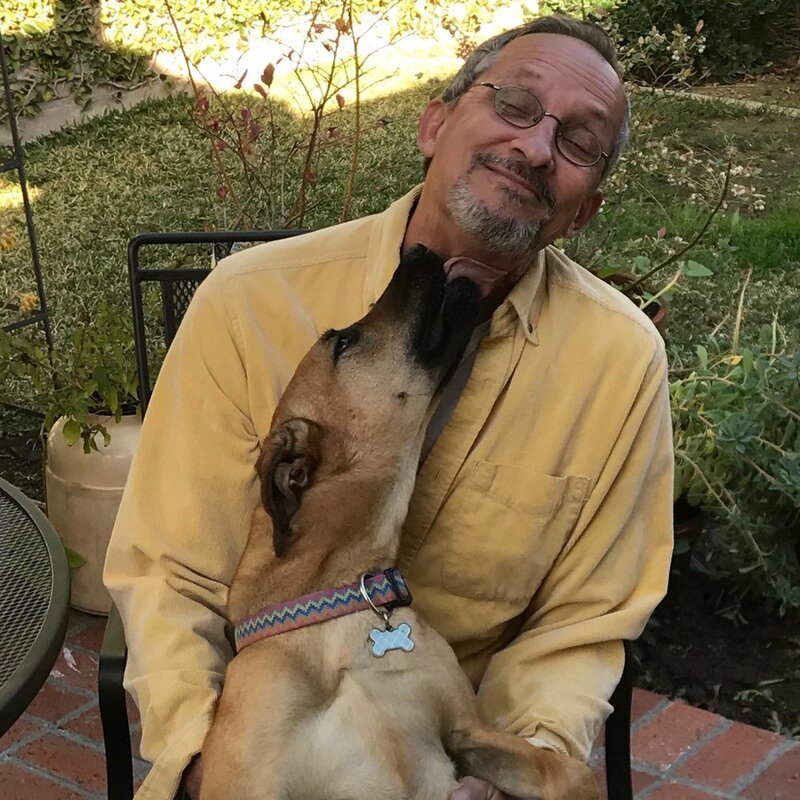 Shonniee, a sad 8-year-old owner surrender who we pulled from Carson shelter in Los Angeles county in October 2015, has found happily ever after with his new dad, Maurice. He enjoys daily walks, the beaches of Northern California, and has built-in playmates ... Maurice's daughters' two dogs who live nearby! Daughter Sue reports "he's got 2 beds, lots of toys and pretty much follows my dad around and lays down next to him in the kitchen, the office, at the table, etc. He's such a sweet dog, I just can't believe he was dumped twice; so far he hasn't acted out, chewed something that wasn't "his" or done anything wrong. My dad is happy with Shonniee and is out and about the neighborhood every day with him." 5 y.o. Jules' owner moved into assisted living and Jules went to live with the owner's niece. The niece got in touch with us because as much as she loved Jules, she knew she was not the right home for her. We put the niece in touch with one of our very experienced applicants, Miki, who, after several meet and greets with her boy Pogo, is happy to report that Jules has found her forever home with them. Miki wrote: "Jules loves doggy day care and her trainer Kristi, loves to take long walks and has never met a stranger - they're all long lost friends to Jules. At the park, she walks up to all of the humans and greets them before she greets the dogs. Jules wrestles with her 1-year-old brother, Pogo, everyday and her dog sitter thinks she has "Bette Davis eyes." January 2017 - Luke Sr. had quite the long journey with us and it's taken a long time to find just the right home for our old boy. His new owners Barbara and Tony have a horse farm and one of his favorite new pastimes is sunbathing and watching the horses! When his new mom sent us a picture of Luke rolling around and frolicking we were stunned! His mom says: "We love Cedar/Luke. He is so well mannered. We are calling him Cedar, because Cedar is durable and beautiful, as is our Cedar. Cedar follows me everywhere and is learning how to live in the country. Lays in the sun on the front porch for hours. Wags his tail and has taught me all about passive resistance. There is almost always someone home with him, I leave the front door open so he can come and go as he pleases and explore the yard. We are working closely with our vet on pain management and will begin an exercise program after his pain is managed. We truly feel blessed to have adopted him. He brings me love and joy each day. Thank you to all who fostered him and worked with him, he is very special." When we first found Boomer in San Bernadino we thought he might have Kennel Cough. Shortly there after we noticed he was favoring one of his hind legs. Our amazing foster Melinda took him into her home and nursed him, loved him, snuggled him. She also let us know he was really more of a Bam-Bam. A wonderful couple came along and wanted to help foster Bam-Bam back to full health. In short order though, they fell in love! Adam and his partner Jarrett decided they needed Bam-Bam in their lives permanently. With his leg fully healed, this sweet boy has been on many adventures with his new dads. They also wanted to honor the great work done by Nelson Mandela and renamed Bam-Bam Nelson. What a great dog, what a great family! We pulled purebred, senior DANNY from Seal Beach shelter two days before Halloween. With his adorable white face and HUGE freedom ride grin, we were all smitten. He went to a few of our trusted foster homes during his stay with us (due to foster families' work and travel commitments) and thrived in all of them. Soon Ken, Maya, and Colleen found Danny. They had just lost their beloved Ridgeback from bone cancer at age 12.5. They were ready to add another RR to their pack, which included two very sweet, well adjusted dogs -Jazz, a 5 year old Westie and Stella, a 3 year old Rescue husky mix....not to mention Bob and Pavlov, the Russian tortoises, and Marcus, the gold fish. In their application, when asked about dealing with challenging behaviors, they relayed a story about a former dog's antics "Took a lot of patience and hiding things we didn't want torn up. We ended up trying to have him pose with the damage whenever we'd find something he did...turn it into a humorous moment." See why we loved this family? A very animal-loving family, conscientious about their animals' wellbeing, with a sense of humor! Foster mom Erin reports: "Ken and Maya were two of the most loving, open and generous people I have met. When they met Danny their eyes lit up and they smiled in a way that said, "that's our dog!" Maya immediately got down on the floor and rubbed and loved on Danny. Danny's reaction was, "where have you been? I have been waiting for you." Danny's demeanor, walk and attitude shifted to pride. He knew he was loved and these people were his future. This family, these people were his and it was perfect. It was love at first sight and I was honored to play a small part of uniting this forever family." Danny now has the most perfect life... full of trips to Carmel Beach with his new siblings, road trips to San Francisco, errand running, lazy weekends and backyard romps. They even taught him to drive! In September 2016 Chloe came into the shelter as a stray with her puppy. By the time we got there, her puppy was adopted and Chloe was in the medical building with her leg bandaged up and on heavy-duty pain meds. The shelter literally carried her to our car and we drove her straight to our pals at Stonecreek. The news was not good. Her leg had a huge gash, to the bone, and it had atrophied. Amputation was discussed. It was decided to wait until the gash healed before making any decisions. Thanks to foster mom, Kerry, she started to use the leg again. When Kerry had to go out of town on business, Chloe moved to Mary & Nick’s place in San Diego. It was determined that she had a bone infection and antibiotics cleared things up. Along the way, Miss Smartypants channeled Houdini once or twice, taking a couple of years off her foster mom’s, foster-to-be-mom’s, foster-to-adopt mom’s and transporter’s lives. She also let us know that she would prefer a home where the people are there a lot and/or another dog for company. She learned to walk nicely on leash, how to socialize with other dogs and ignore yappy ones, and to share attention. After a couple of unsuccessful attempts at placement, we were excited to receive an application from Lior and family, who had Nash, an 8lb rescue who had not been around too many dogs, plus 3 young boys between 6 and 10. After a careful and patient introduction, today Chloe has all the attention she wants from a lovely family and she is finally living the life we all imagined for her. 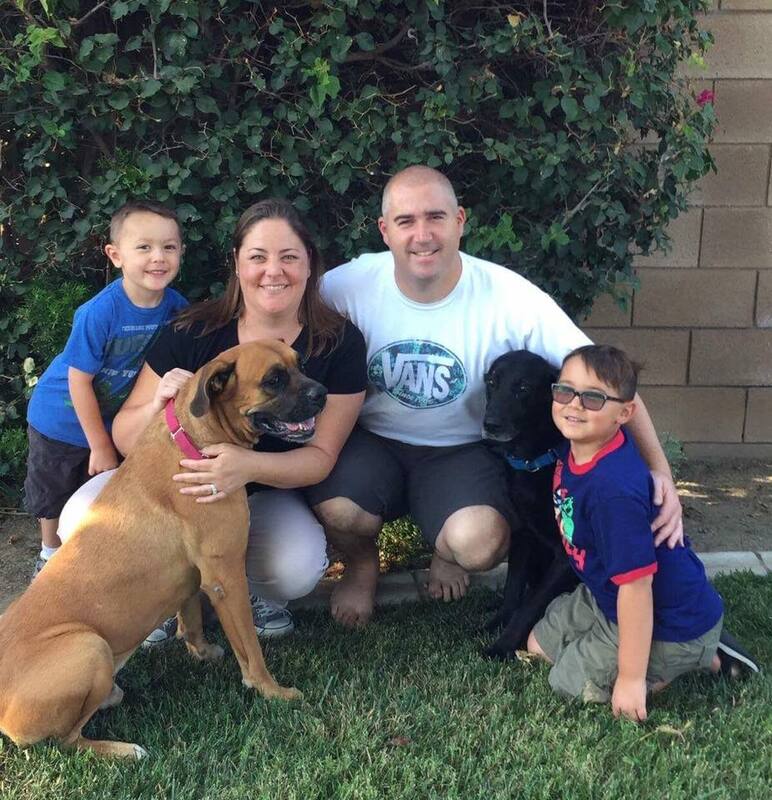 Our very first “Soraya’s Seniors” Dog, Brutus, has found the most special family. Mom Jackie writes: “We love him to pieces. I call him my velcro. He's attached to my hip and he and Lincoln (the baby) have a very special bond." Over the months the family has been fostering-to-adopt, we have seen the close relationship that Brutus has with the baby. It warms our heart to see this boy loved, healthy, and happy ... because he’s had quite the journey! Brutus and his beagle pal, Archie, were surrendered to Camarillo shelter in April 2017 by their owner who could no longer take care of them. Archie was adopted but Brutus had some health issues - he couldn't stop itching and a lot of his hair had fallen out. He had huge scars from scratching himself and his teeth were worn down from trying to stop the itching as best he could. This had clearly been going on for years. We decided he'd be the perfect dog to launch Soraya's Seniors, named in honor of our beloved Board Member who unexpectedly and tragically passed away in March 2017. When we contacted the shelter, the staff wept with joy. He’d become a favorite because he is so incredibly sweet and they were doing EVERYTHING they could to bring him some relief. We got him to several vets and a specialist and with the dedication of his amazing foster mom, Diane, Brutus stopped scratching and his hair began to grow back. When he started to feel better, we brought him to The Zen Dog for a little socializing. Rita Earl Blackwell took amazing glamour shots and our friends susiesseniordogs posted him, where his mom Jackie spotted him. And the rest is history. Brutus’ ears are cleared up and Jackie continues to give medicated baths, which have really helped his 'elephant skin.' Our Soraya’s Seniors program will continue to support monthly cytopoint shots and any allergy-related care for the remainder of Brutus’ life, which we trust will be long and healthy… because he has lots of baby-raising to do! Pretty Panda came into the rescue late last year from a family that loved her dearly but she didn't fit well with the energy of the household and after consulting two different trainers, they agreed. Her owners were determined to find the best home possible for Panda and they found that with Tracy and David near Claremont, CA! From Tracy: "David had been talking about wanting a new dog for a few months. We had lost our 16 year old two years earlier. I knew that I missed having a dog buddy at home but didn't know he did too until he started pointing out dogs he saw on the street that he liked the looks/size/energy of... or would talk about a dog he met doing his job. He also said he missed having a dog to walk; that walking alone was boring. (I selfishly refuse to speed walk 5 miles at the crack of dawn with him.) We were sitting at a sidewalk cafe in Sonoma when I saw her photos and said to David "Look at this pretty dog". Somewhat surprisingly, he was immediately VERY interested and wanted to meet her ASAP. Like, right now. I reminded him that we were on vacation and we needed to get home first. He says now that his enthusiasm was fueled by vacation relaxation and craft beer, but I know better. It was love at first sight. I wouldn't call our meet and greet anything close to "love at first sight" for Panda, as she barked at us, loudly, for the first fifteen minutes. But after the barking subsided, she and David took to each other very easily. Talking with her owners, we learned that she has some anxiety issues and a lot of energy but was otherwise a very good, sweet dog they were sad to give up. Having previous experience with an anxious dog, and charmed by Panda's obvious better qualities, we decided (after long talks about responsibilities and lifestyle changes and poop) to go for it. Seven weeks later, she has blended into our routines and us into hers, loves her long daily walks with David (LOVES David in general), and is slowly warming to the idea that other people will occasionally come into our house and she doesn't have to freak out. She's a lovely, smart, gigantic goofball who's added joy and positive energy that we'd been missing here without even realizing it. Thanks to my friendship with Samantha at R&F, her knowledge and advice about RRs, and previous owners who were willing to find a more appropriate home for Panda, we feel so lucky to have found her." March 2019 - When Davey was pulled from LA county’s Carson shelter in February 2017, he had been labeled as a Ridgeback with a broken leg. However, when our board member went down to pull him, she soon realized Davey was a REALLY good actor: our Ridgeback-with-a-broken leg turned out to be a Pittie-with-a-slight-bruise! However, Davey had lots of scars on his face, head and front legs and he was skinny; we could only imagine such a tough life at a young age. Davey was in our care for a full two years. For this entire time he had the most dedicated foster mom, Kerry, who loved him unconditionally, worked with him constantly, and was open to all suggestions. You see, Davey was no easy case. Alone with Kerry, he was loving, affectionate, sweet, funny and obedient. However, he attached quickly and became aggressive toward visitors into her house, barking like crazy if neighbors were in the courtyard, and randomly lunging on walks. Davey also suffered from a lack of confidence and inability to read dogs’ signals... so he would go crazy lunging and barking when he saw them. When his foster mom travelled for work, Davey was boarded at Stonecreek Animal Hospital. The entire staff loved him (especially the kennel manager, Scott) and he was a COMPLETELY different dog there: non-reactive in the lobby, left crated dogs alone, and never had issues with dogs or people. However, we knew this was not a long term solution so we turned to one of our amazing trainers: Alexandra Gant of Behave - Dog Training & Behavior Modification. Alex doesn’t do board and train BUT she lives near Wag San Diego, a boarding and doggy day care facility, so we boarded Davey there and Alex dedicated months of her free time to work with him. She was able to analyze the differences between how he was with Kerry and how he was at Stonecreek and WITH Scott. She worked with him on his confidence and taught him cues and coping mechanisms for how to interact with the world. Alex was able to transform unadoptable Davey into an adoptable dog. And you’ll never guess who adopted Davey…Scott, the kennel manager at Stonecreek, is now officially Davey’s “dad”. Kerry writes “They’re off to have great adventures together and Davey will have a grandma and great-grandma to give him lots of love too. He’s a very special soul and I’ll miss him to bits, but I know he’s going to be adored and have the best life ever!” Both Alex and Kerry continue to provide Scott with the best strategies to help Davey continue to be his best sweet, flirty, confident self in his new life. CHANCE (A/K/A BRENDAN) has found his forever home with Julie and Jimmy, their three kids and another little rescue named Bruno (after Bruno Mars). Cast your mind back to late July when we were notified of an 1 year old intact purebred boy being sold on Craigslist. 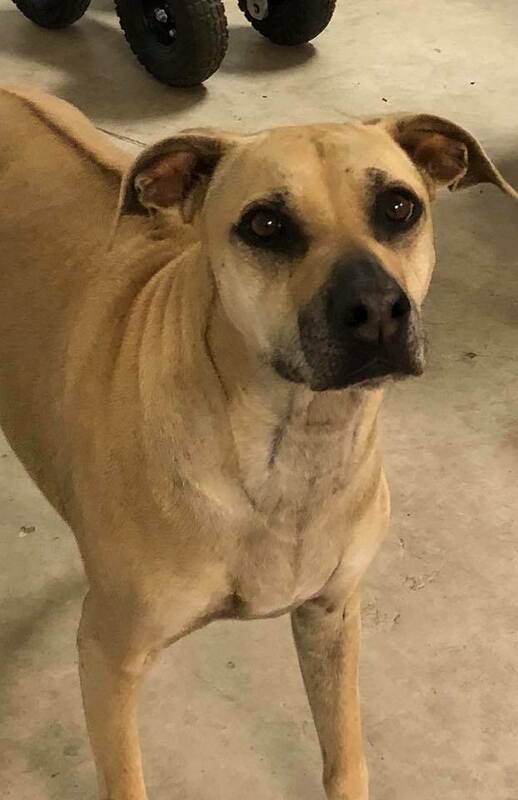 With the help of Ridgeback Trust Inc, Jimmy, and Stonecreek we were able to rescue, neuter and foster Chance ....but not without the drama of him slipping out of his collar his second night!! We immediately posted him missing on Nextdoor and CL, went down and handed out flyers and even contacted an animal communicator. Luckily, he was found later that day, unscathed. 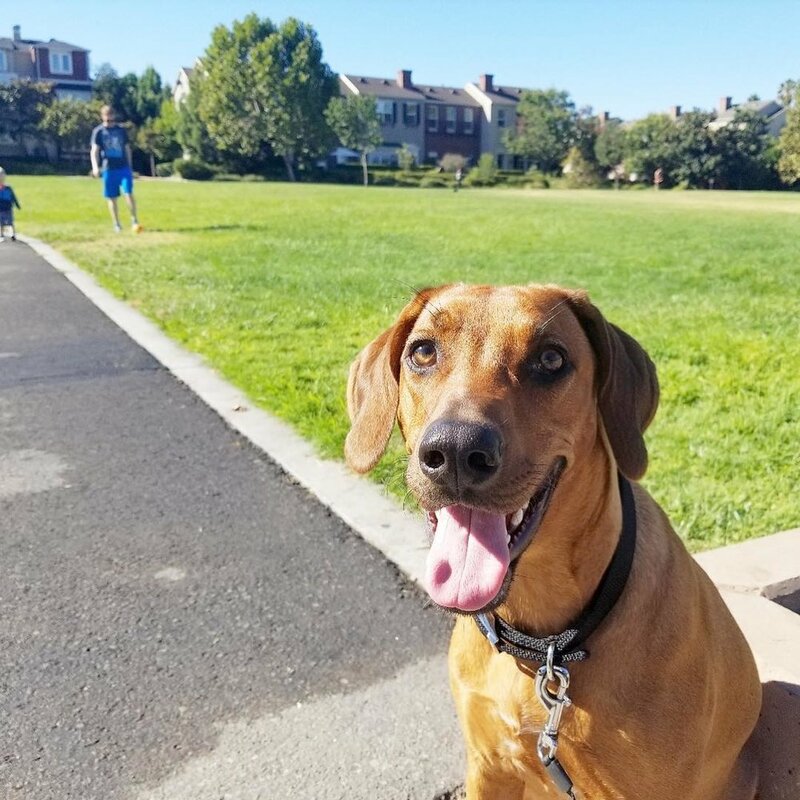 Big thanks to Foster mom Aspasia, Stonecreek Animal Hospital, Jimi & Audrey, Marci, Cassie for alerting us to him, and - last but not least - Ridgeback Trust Incorporated (RTI), whose mission is to end indiscriminate breeding. In June, 2018 we were contacted by a heartbroken owner who needed to rehome his 3 year old purebred Jaxson , due to major family medical issues. Jaxson and his owner were very bonded, spending the majority of all their days together. His dad walked him multiple times a day and even cooked him homemade meals. Dave interviewed a few applicants and felt really good about Brian and his family. Jaxson was depressed and anxious at the beginning, having left everything that was familiar to him. He acted out some and even regressed to some puppy-like chewing episodes. But Brian and his family committed and understood that in addition to love, Jaxson needed more consistency and a schedule. With that in place, Jaxson has now settled in well with the family. Brian reports that Jaxson now enjoys his huge yard with two outside couches on the patio that he likes, and that he’s sleeping well and is getting out to play in the mornings and walks in the evening. Logan is Ridgebacks & Friends first adopted dog! LOGAN (formerly Jake) was rescued from the Apple Valley shelter and was a very quick foster fail. He lives a great life in Palm Springs with his mom Diane and his brother Cody. The little guy up front is Reggie from Carson. He was just supposed to be a foster…. but Rik & Reggie's foster siblings Koti & Simba couldn't let him go. Charley now has a dad Dave who runs with her, a mom Lori who walks her, and a little girl to be BFFs with! From Baldwin shelter to hitting the family jackpot. 6 year old Joey, who we rescued from East Valley (Van Nuys) shelter in July 2015, was adopted by Ryan & Britt who spotted his CW6 morning news spot in October. He joins husky siblings Mia & Jax and lives the high life with a great backyard, doting parents & sister, and plenty of morning cookies!! Sweet Lenny, dumped at a high kill shelter, hit the jackpot when he found his family in N. California. He is loved on by two doting human sisters and one senior fur sister as well as two devoted parents. We first met Cinnamon in early September at the Gaines Street shelter in San Diego. She had come in as a stray and was SEVERELY injured from shoulder to side. After a few surgeries and SEVEN weeks at VCA animal hospital in El Cajon, she came into foster care with Louise and her family, who nursed Cinnamon back to health.. Cinnamon, affectionately nicknamed "Cici", is a super happy, healthy, well-adjusted puppy who runs and plays, digs and chews,and is completely loved by her mom, dad and two young human siblings ...who Foster failed.Her parents have had Ridgebacks before and are thrilled to have found her. 10-year-old SIMBA has a younger ridgeback playmate and some pretty comfy spots to rest her head. Simba came into rescue in December 2015 after her owner died and she was surrendered to a veterinarian in Santa Barbara. She goes to the beach and patrols the neighborhood to check in with all the other dogs. River, who we pulled from Ramona Humane Society on November 1, is now "Roxie" and was adopted by her second foster family who lives in Los Angeles!! She had some 'ups and downs' getting used to living with a pack. It turns out she was a lot younger than we all thought, and her puppy enthusiasm needed some channeling. Sister Jazmin got busy with mothering and brother Bix did a super job of big brothering. Mama Sue reports: "Someone did an outstanding job of teaching her to potty upon demand. She sits absolutely still to get her walking harness on. She looks so proud of herself. She is very good about waiting for her bowl although she eats like she been starved her entire life or at least sounds like it. Loves other dogs, visitors, incoming groceries, van rides to the pet store. She loves to stretch out on Jerry on the side of our bed and watch TV. She basically is my shadow and is learning there are other dogs to share me with. She flies up the canyon trail and thankfully retrieves just as fast. She loves playing with Jazmin and Bix, who is her afternoon napping partner” This girl went from shelter... to champion- she won a California lure coursing award at last weekend's match (a green and white rosette)!! Remember Zeus, who was abandoned by his family and left running the street for months until he was finally caught by Good Samaritans? Zeus' new mama writes us: "Zeus is amazing! He will keep his foster name, because the name Zeus was already top of our list--proof that it was meant to be! Tentative when he arrived, his tail was down and he didn't play or bark, but he was sweet and calm, with soulful eyes. His foster mom told us he might need to be taught to play, a challenge that his new "siblings" readily accepted. Now happily settled, he loves to play tug-of-war, and will even fetch. He is preternaturally calm, impressing all who meet him with his regal temperament. But every morning he wakes up ready to frolic. He loves walking his siblings to school, but looks after them longingly when they enter the building. He follows his mother everywhere, rarely more than a foot away. He likes hanging out on the window seat, watching the world go by. Most of all, he loves to rest his heavy head on any willing lap. He can't get or give enough love. It's no exaggeration to say that strangers on the street fall in love with him. We are so grateful to Sharky and Kimberly for bringing him in off the street, to Jen and Ti for fostering him with so much love, and to Barbara and R & F for somehow deeming us worthy of Zeus. Thank you! You've changed our lives." January 2017 - When we first heard about two owner surrendered purebred siblings in the Camarillo shelter we hoped we could help the boy with the masses we saw on his leg and chest and we couldn't imagine separating this brother and sister. Diesel and Emma had lived their entire 8 years together, would we be able find this life long bonded pair the perfect home? We should have never worried! Carmen and her family had come along just the day before, wanting a female purebred to fill the void left by their girl Marley whom they'd had for 15 years! They thought they'd have to wait a while to find just one dog so they said that they would foster and see how it went. This is what Carmen has to say about Diesel and Emma: "We are amazed how quickly they have adjusted to our home and have become integrated into our daily lives. When we initially decided to foster we didn't think we would adopt 2 new pups, we thought we could only handle one. But when you shared that there were 2 RRs available at a nearby shelter, and they came as a pair, we took a chance at fostering. We were reluctant at first, as it was our first time fostering, and we didn't know where they were coming from or what challenges we'd face, but we were willing to give them a chance, to keep them together. From the first day we brought them home they just fit in. They were incredibly well behaved, and within a week of decompressing from the shelter, they were giving us all their love, wagging their tails, and enjoying their daily walks. We decided to adopt Emma and Diesel and give them their forever home, as a tribute to our Marley girl, who we were blessed to enjoy for almost 15 years. So, thank you for bringing us Diesel and Emma"
Beautiful young Sacha was a purebred from a Southern California pet store. She was surrendered to us because her family did not have enough time to dedicate to her and she had been relegated to the backyard. Now she lives on a spectacular Malibu property, with plenty of room to romp and an abundance of soft beds inside. She has two human girls who adore her and play with her and she enjoys frequent trips to the beach. Sacha, now called Luna, was adopted by an approved applicant who had been waiting more than a year for their perfect match from us. We are tickled pink that we were able to make her Cinderella story come true. Thank you to her original family for reaching out and allowing us to place her into a better situation. Bosco’s owner was an elderly woman who was no longer able to take care of him so her son called us to help rehome him. Our ‘Of-Course-I’ll-Foster’ foster mom, Erin, took him in and quickly declared him to be the easiest dog on the planet. “Gets along great with dogs, cats, kids, people…can stay by himself or hang with you as you watch tv. “ Our little ridged mix had some meet and greets that all went well but it either wasn’t the right time or the right fit. Then, just as Bosco was going to a foster-to-adopt’s home, we got a message from a neighbor/ friend saying she had the perfect home for this dog and she was kicking herself for not speaking up sooner. She told us Arthur works from home, yet ventures out to play golf and walks 4 miles a day for his health, and has the guys over for weekly poker games. We reminded her “dogs always end up where they’re supposed to be” so let’s just wait and see. Sure enough, the foster-to-adopt home said Bosco was the perfect dog but he had his heart set on a big dog so… Bosco and Arthur had a meet and greet and just as our neighbor/friend had promised: Bosco and Arthur were the perfect match. Arthur writes us "So happy to have Bosco in my life. I love my new friend and roommate!" Bronson was rescued (along with Huxley) from Hesperia shelter on March 9th. And boy was he a mess! He had open sores from sitting in urine. He had kennel cough, he needed antibiotics for liver issues. He had red goopy eyes. We sought help from Mohawk Animal Hospital and Stonecreek Animal hospital. His fabulous foster mom, Lynn Johnson, who works at VCA Arden, nursed him back to health and brought him to work with her sometimes, where his happy, gregarious ways made him the star of the office. He also needed training and socialization and we turned to the Zen Dog and the Doggie Dude Ranch for help. As he became stronger, healthier and well-behaved, he starting attracting attention of prospective adopters. His new mom, Anita, writes: "Bronson is great with the boys, they enjoy how much he craves attention and give him plenty of rubs. He gets along with our lab, Molly, and really loves rolling in the grass and running around the yard. His whole body wags when he sees us come home. He has a sweet slobbery smile and uses those cute boxer paws to get everyone's attention. We love him. Thank you for all your support as we made sure he was a healthy boy." In October, three dogs appeared on the Sacramento shelter website and they all looked like RR’s. One was immediately adopted directly from the shelter. Elizabeth Akers of Nor Cal RRR grabbed one and when Vickie stepped up to foster and Tracy Em and her daughter Amber were able to pull and transport, we grabbed the third. He didn’t have a name so we named him RED (for obvious reasons). Within hours Vickie knew he was not leaving her home. RED is now RHODIE and spends his days going to work with Vickie’s boyfriend or lounging at home going wherever Vickie goes: lunch, shopping, hikes, etc. The first dog we pulled from the South L.A. was a senior named Precious. The volunteers at that shelter were so wonderful that when they alerted us to Poindexter we listened. One of the staff there - the aptly named Saint -had been working with Poindexter because he was so paralyzed with fear. We posted for a foster or adopter and when Allison and her family stepped up in December 2017, we pulled him. The first week “Dexter” wouldn’t leave the kitchen but bit by bit, literally step by step, he started to relax, trust and inspect the rest of the house and its occupants. His first real connection was with Ziggy, Allison’s 1 y.o. pit/mastiff mix. Dexter found a big (literally) brother he could look up to. After hours of watching Ziggy groom Dexter and playing tug-o-war with toys (and socks), they realized they shouldn’t be separated. “Dexter is the sweetest, most gentle, kindest soul I’ve ever encountered in a dog, and I couldn’t imagine waking up every morning without him by the side of my bed to greet me.” No one (dog or person) in the house is willing to let him go anywhere and so we are thrilled to announce that Dexter has found his Forever Home. Vincent has found his forever ever with Ivette and her family. He has a great yard, loving parents, and chihuahua brother named Mikey for companionship. His new mom writes: “Welcome home Vincent! Sorry for whatever may have happened to you before we met, but we are so happy to have you as part of our family now. Vincent is a beautiful super loving and sweet furry baby who loves going for walks, playing fetch and just plain old hanging around us (actually lying around us). Thank you to Ridgeback and Friends for all of your help and support. We’re so happy in love with Vincent!” We rescued Vincent on January 3 from South Los Angeles shelter. Thank you to Erin Elliot, Mo Dahkil, and Joshua Kennedy for fostering him and our friends at Mohawk Alley Animal Hospital For his Vet Care and THE ZEN DOG for daycare/socialization.